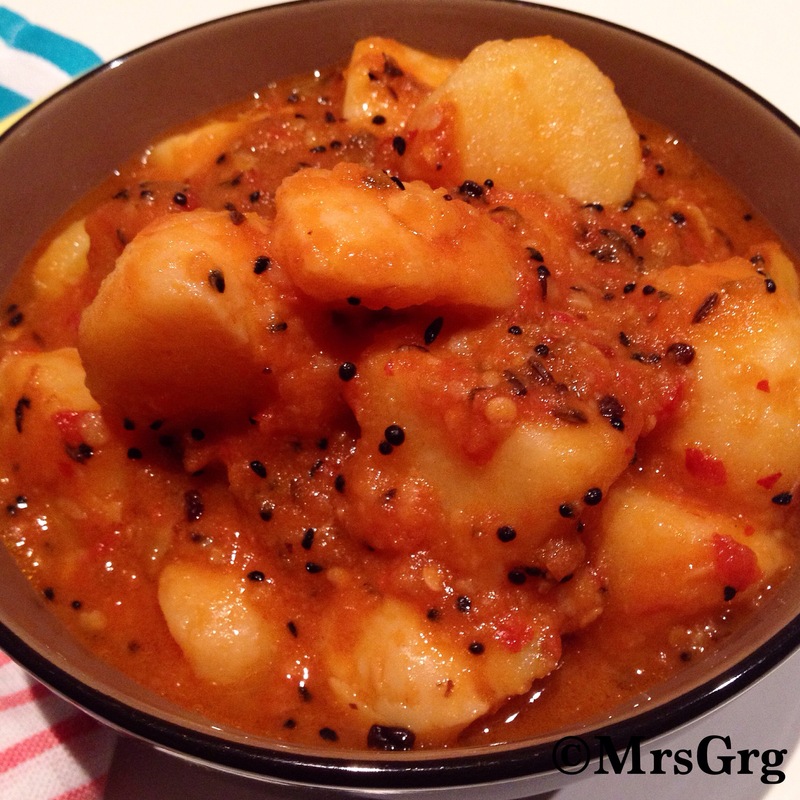 Warning: This is a very hot potato curry. I got this recipe from my bestie from primary school. She went to boarding school in Darjeeling after her primary schooling. This is where she found this dish and loved it. She promised me that she will make this cracking aloo dum for me one day as it’s her signature dish. But I never got to taste it because shortly after her return to Nepal, I moved to Australia. Sometime ago, I reminded her that she still owes me piro aloo dum. So she sent me this recipe for me to try it. I’ve made this few times. It’s so delicious and hot. It goes really well with puris (deep fried puffed breads). 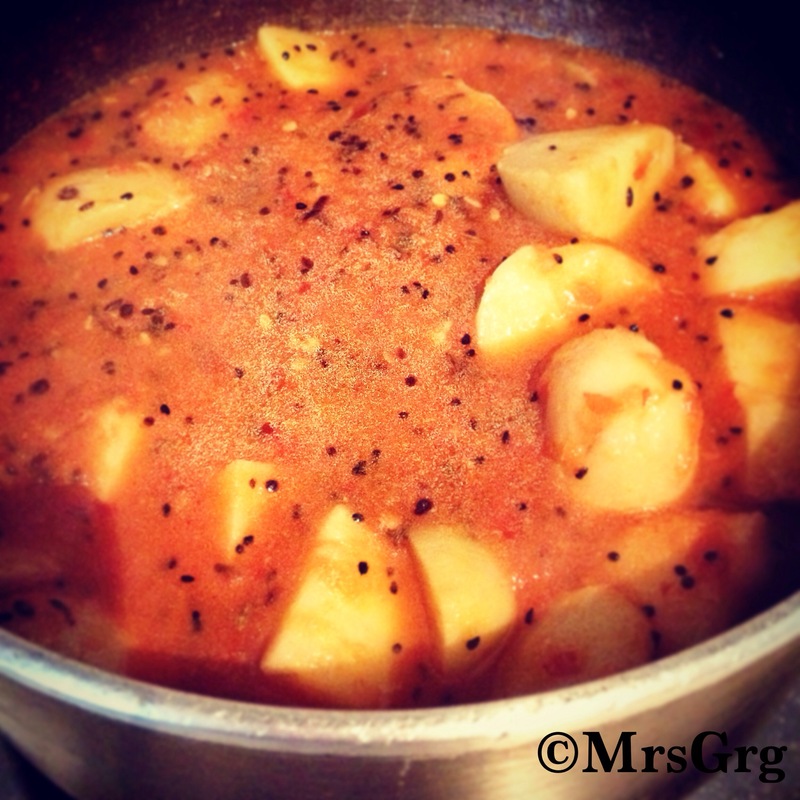 Here’s my take on piro aloo dum. 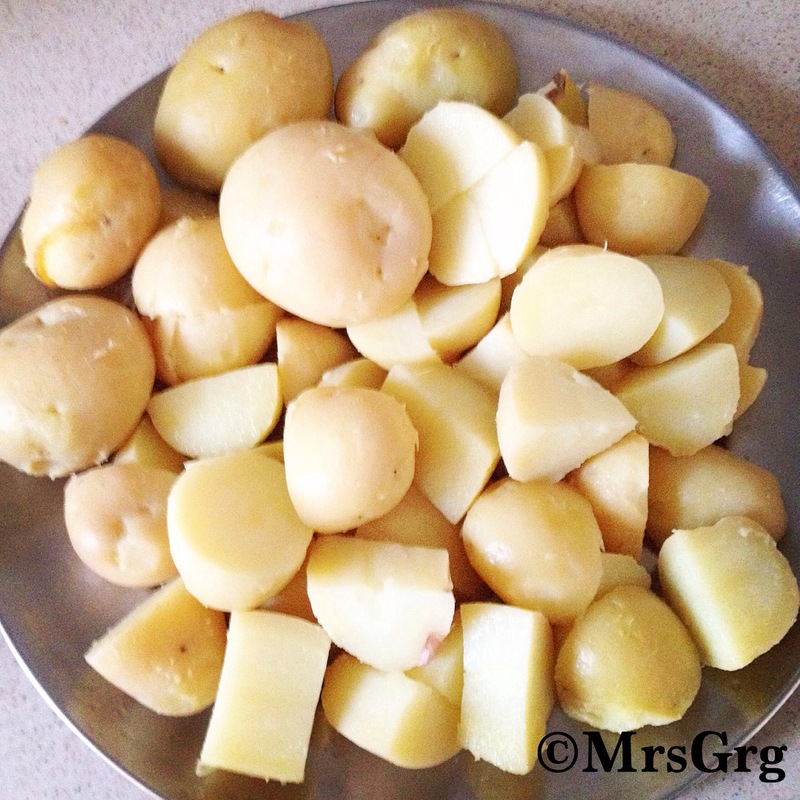 Boil whole potatoes, until soft and peel and cut them into quarters. Set aside. 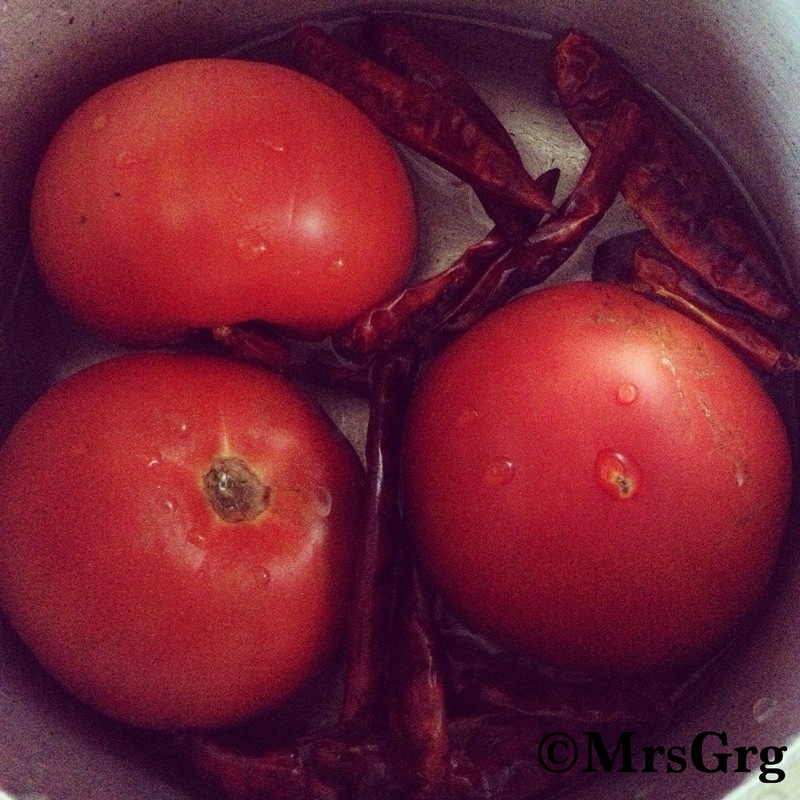 Boil tomatoes and chillies in a pot, until tomatoes are mushy and soft. 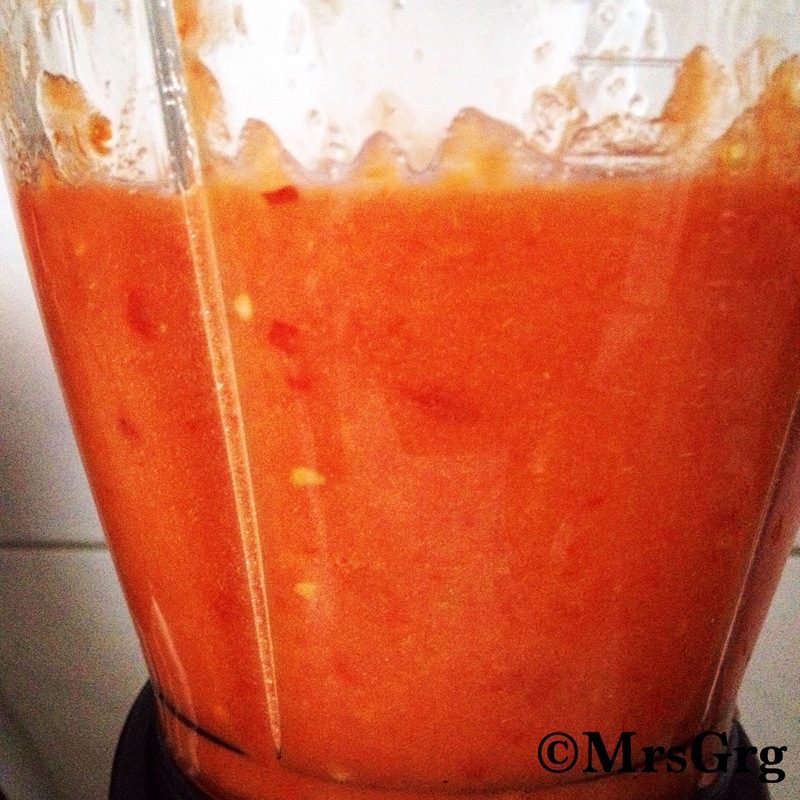 When tomatoes have cooled down, blend tomatoes and chillies to make a thick purée. Set aside. 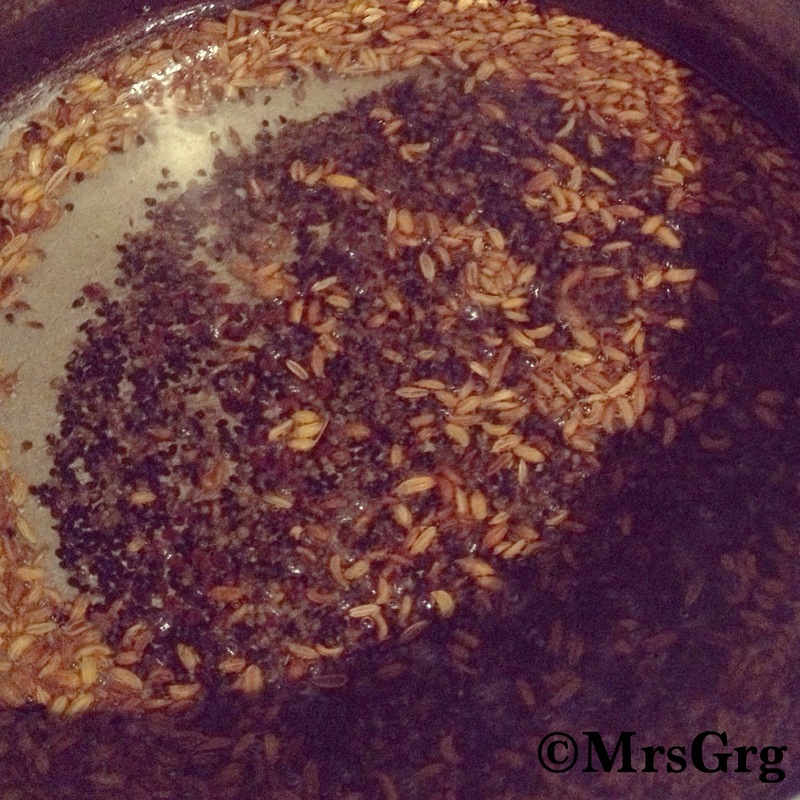 Heat oil in the pot and add all the seeds. 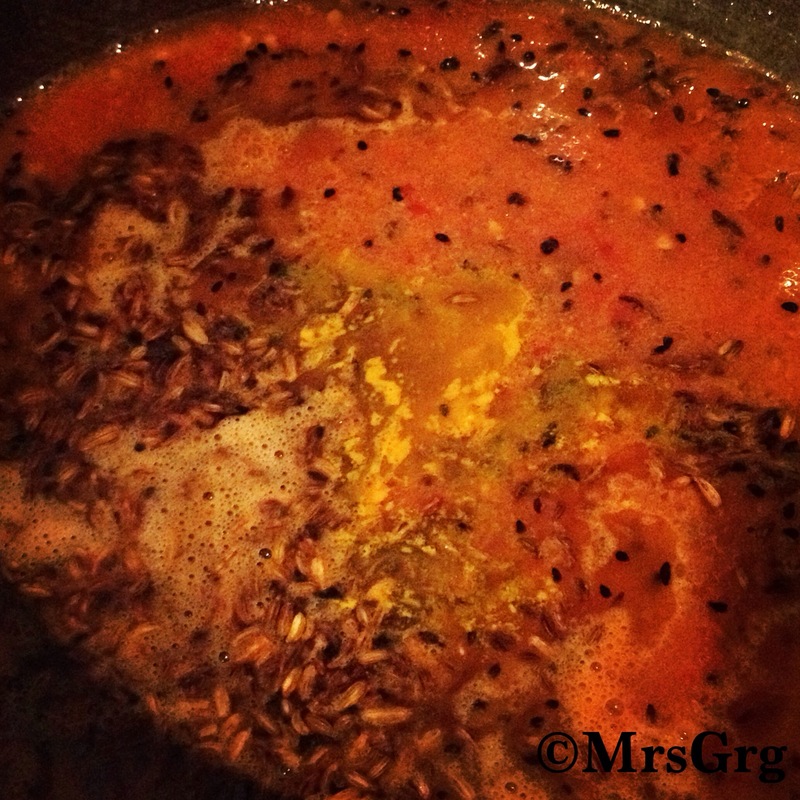 When it starts to pop, add tomato purée, turmeric powder and salt. Cook the mixture for 2-3 minutes. Add boiled and cubed potatoes and mix well with the gravy. Simmer it for 5-10 minutes on low heat so the potatoes soaks up the flavour. 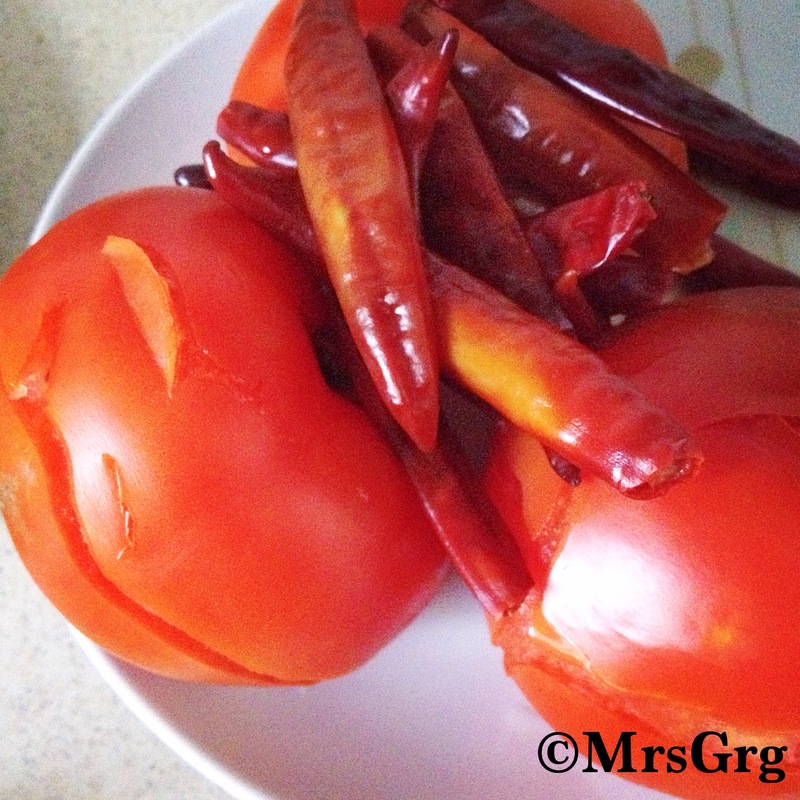 Serve hot with puris or steam rice. Enjoy. This entry was posted in Dashain Special, Food, Food Lover, Recipes and tagged aloo dum, alu dum, darjeeling style aloo dum, hot and spicy potato curry, lovage seeds, nepali cuisine, panch puran, panch puran masala, piro aloo, piro aloo dum, potato curry, vegan, vegetarian. Bookmark the permalink.